Allahabad High Court Lift Operator and Mechanic (Electrical & Mechanical) Class-IV Recruitment 2017 - Job notification for 38 Lift Operator & Mechanic (Electrical/ Mechanical) (Class IV) Posts. Online Applications are invited by Allahabad High Court / http://www.allahabadhighcourt.in/ from 21 Dec 2017 to 08 Jan 2018 till 11:59 PM for 38 vacancies. Allahabad High Court Lift Operator and Mechanic Stage II Admit Card 2018: Allahabad High Court has issued the Admit Card on 24 Sep 2018 for UPHC Lift Operator and Mechanic Stage II Exam 2018 which is scheduled to be held on 07 Oct 2018. 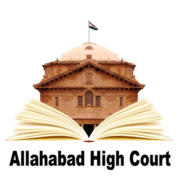 Allahabad High Court Lift Operator & Mechanic Admit Card 2018: Allahabad High Court has issued the Admit Card on 30 Jan 2018 for UPHC Lift Operator & Mechanic (Electrical and Mechanical) Class-IV Examination 2017 which is scheduled to be held on 04 Feb 2018. Relaxation in upper age limit as per Govt. Rules. High School with technical qualification certificate of one year, issued from National Professional Training Board/any equivalent institution recognised by the Government such as I.T.I. (recognised by Government) etc. Candidates will be selected on the basis of Stage-I & Stage-II written examination. Eligible candidates may apply online at Allahabad High Court website (direct link is given below) from 21 Dec 2017 to 8 Jan 2018 till 11:59 PM. 5. Submit and take print out of Online Application form for future uses.